Amazon Cloud Reader is a web application that allows anyone with an Amazon account to access and read ebooks purchased on Amazon (otherwise known as Kindle books) in a compatible web browser. This makes it possible to read Amazon Kindle books without a Kindle device or the official Kindle mobile app. If you simply want to read a Kindle book on your laptop, tablet or smartphone as quickly and as conveniently as possible, all you have to do is open up your web browser, navigate to the main Amazon Cloud Reader page and sign into your account to start reading. Besides offering a quick and convenient way to read Kindle books, Amazon Cloud Reader offers many other benefits as well. Here are a few perks you can expect to get out of it when you use Amazon Cloud Reader regularly as a reading tool. Books automatically added to your Amazon Cloud Reader web app every time you purchase a new one from Amazon (Kindle version only). A clean, crisp and high-quality reading experience that looks and feels similar to reading a real book. An offline mode for reading when you're traveling or in a location without an internet connection. Synchronization of all your books and reading activity across your entire account and all the devices you access it from. 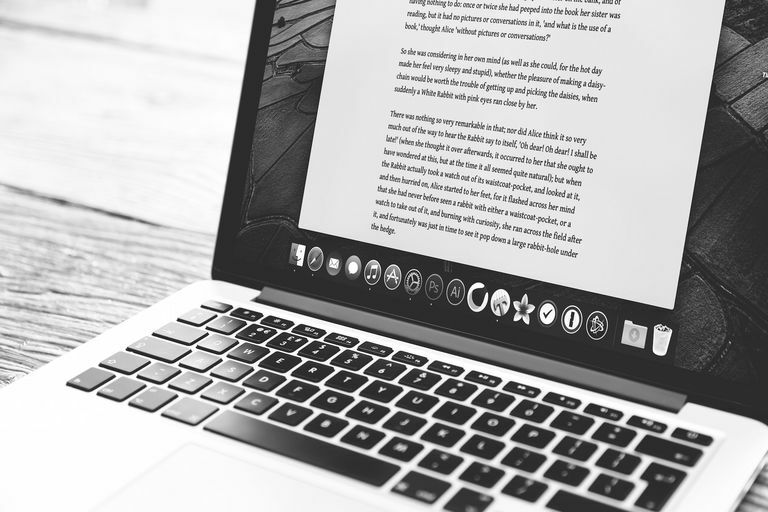 Extra tools to personalize your reading experience like adding bookmarks, highlighting text and writing notes that correspond with any page or portion of text. Space saved in your home from not having to store physical books. Money saved since Kindle books are often cheaper than their hardcover or paperback counterparts. Reduced paper consumption by opting for digital books over physical ones. Amazon Cloud Reader is used with a regular Amazon account, so if you already have an existing Amazon account, then there's no need to create a new one—unless of course you want to have a separate account exclusively for purchasing and reading Kindle books. To create a new Amazon account, head to Amazon.com (or Amazon.co.uk, Amazon.ca, Amazon.com.au, or other—depending on your country of residence). If you're visiting from the desktop web, hover your cursor over the Account & Lists option in the menu to the right of the screen and click the Start here link beneath the big yellow Sign in button. Enter your details in the given fields to create your account. If you're visiting from the mobile web on a smartphone or tablet, scroll midway down the page and tap on the blue Create an account link. On the following page, tap the checkbox selection for the Create an account option and enter your details. Note that Amazon will send you a text verification to complete your account setup. Accessing Amazon Cloud Reader is incredibly easy. All you have to do is open your preferred web browser, head to read.amazon.com and enter your Amazon account login details. If you're signing in with an Amazon account where you've purchased Kindle books before, those books will be displayed in your Amazon Cloud Reader library. If this is your first time signing into Amazon Cloud Reader, you may be asked whether you want to enable offline reading, which will come in handy when you aren't connected to the internet. Each book's cover, title and author will be displayed in your library. The books that you opened most recently will be listed first. If your Amazon Cloud Reader library is currently empty, then it's time to buy your first Kindle ebook. Click the Kindle Store button in the top right corner to see which books are popular or search for a specific one. When purchasing your first book, make sure the Kindle Edition option is clicked and highlighted in a yellow outline. Before you make your purchase, look for the Deliver to: option under the purchase button and use the dropdown menu to select Kindle Cloud Reader. Now you're ready to make your purchase. Your new Kindle book should appear in your Amazon Cloud Reader app shortly after your purchase is completed. Tip: If you're an Amazon Prime user, you should also have access to Amazon Prime Reading, which allows you to read thousands of books for free. To start reading a Kindle book in your Amazon Cloud Reader library, just click on any book to open it. If you decide to stop reading and leave at a certain page in a book, it will automatically open at the page where you stopped reading the next time you open the book. Go to menu (open book icon): View the cover of the book or go to the table of contents, the beginning, a specific page or a specific location. View settings (uppercase and lowercase letter A icon): Customize the font size, margins, color theme, number of reading columns and reading location visibility. Toggle bookmark (bookmark icon): Place a bookmark on any page. Show notes and marks (notepad icon): View all bookmarked pages, highlighted text and notes added. You can highlight text or add a note by using your cursor to select your text. A Highlight and Note option will appear. Synchronize (circular arrows icon): Synchronize all your reading activity for book across your account so that when you access it on another device, everything is updated for you. The bottom menu will show your location in the book and a percentage value of how much reading you've completed based on where you are. You can also drag your point along the location scale to easily scroll back and forth through your book. To turn the pages, simply use the arrows that appear on each page or alternatively scroll like you would on any other browser—by using your scrolling wheel on your mouse or flipping the page with your finger on your mobile device. You can view and manage your library in a few different ways. You might want to take advantage of them to make finding books easier as you build your library by adding more of them. Firstly, notice that you have a Cloud tab and a Downloaded tab. If you have offline reading enabled, you'll be able to download books so that they appear in your Downloaded tab. Back on the Cloud tab, you can right click on any book to Download & Pin Book. It will be added to your downloads and pinned there until you decide to remove it yourself. Use the Grid View or List View buttons to see your books in two different ways. On the Grid View, you can use the Cover Size scale to the far right of the screen to make each book smaller or larger. Click the Recent button to sort your books by Recent, Author or Title. At the top to the far left, use the menu options to see all your notes and highlights by clicking the notepad button, sync everything across your account by clicking the circular arrows button, access your settings by clicking the gear button or search for a book by clicking the magnifying glass button. As you acquire more books and your library continues to grow, you may wish to delete books that you no longer want to keep to help keep your Amazon Cloud Reader library neat and tidy. Unfortunately, you can't delete books within Amazon Cloud Reader itself. To delete books, you have to sign into your account on the Amazon website. Once signed in, hover your cursor over Accounts & Lists and click Manage Your Content and Devices from the dropdown menu. You'll be shown a list of all the books in your account. To delete any one of them, just click to place a checkmark in the checkbox beside it and then click the Delete button. Once you've deleted the books you don't want, they'll disappear from your Amazon Cloud Reader web app. Keep in mind that this can't be undone and you'll have to buy the book again if you decide you want it back! Amazon Cloud Reader is basically a simplified version of the official Kindle app. One of the big benefits available on the Kindle app but not on Amazon Cloud Reader is the ability to create collections to categorize your books, which helps keep your library organized as your library continues to grow. Collections can be created from within the Kindle app using the app's main dropdown menu or in your Amazon account under Account & Lists > Manage Your Content and Devices. Amazon Cloud Reader unfortunately does not support the collections feature, so you will be unable to view the collections you create through the Kindle app or in your Amazon account. It would be nice if Amazon Cloud Reader supported collections, but don't worry—all of your books (including those you organized into collections) will still be listed in your Amazon Cloud Reader web app. They'll simply be catalogued all together in your library as one comprehensive list.